The professionals at New York Cosmetic Image Center utilize modern hair cutting, styling and coloring techniques. Our staff has specialized in working with hair loss in men and women for over twenty years now, including chemotherapy alopecia. We also use highly sought after brands including Great Lengths® hair extensions to add volume to thinning hair and to make natural wigs. Your Hair Extension Experts have the necessary training to apply these advances to any hairstyle to give you natural looking and feeling hair. 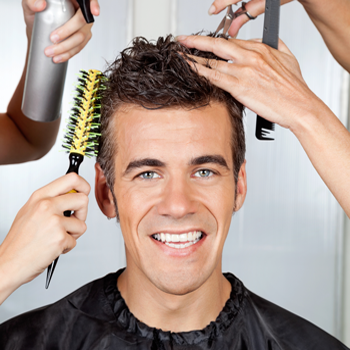 Additionally, our staff believes that we can improve your appearance and your confidence. Research has proven the idea that a positive self concept can lead to a more favorable prognosis in any situation. Our goal from the moment we meet you is to provide you with amazing hair solutions to boost your confidence and appearance. Come in for the Star Treatment you deserve! Book a reservation to get the quality service and products our clients have come to adore.